Ira M. Herman, Ph.D. Professor and Director, Tufts Center for Innovations in Wound Healing Research and Director, Program in Cellular and Molecular Physiology, Sackler School of Graduate Biomedical Sciences, Tufts University School of Medicine. Professor Herman’s research interests have been focused upon revealing the molecular and cellular mechanisms regulating shape and motility during vascular morphogenesis and wound healing. He is an internationally-recognized thought leader in cytoskeletal biology, vascular cell biology and the molecular signal transduction pathways controlling the cellular responses to injury, wound healing and tissue regeneration. 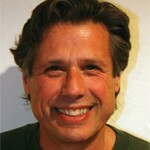 David Kaplan, Ph.D. Professor and Chairman, Department of Biomedical Engineering, Tufts University and Director, Tissue Engineering Resource Center (TERC), Tufts University. Professor Kaplan’s research reflects the cutting-edge interface that currently exists between biology, materials science and bioengineering. Dr. Kaplan is an international authority and worldwide leader whose work focuses on understanding the biological synthesis and processing of polymers and polymer interfaces. 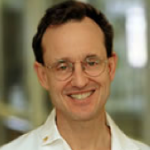 Jonathan Garlick, Professor and Director, Center for Integrated Tissue Biology and Tissue Engineering (CITE), Tufts University School of Dental Medicine. Dr. Garlick’s innovations in 3-D cell culture design systems, bio-engineering of 3-D tissue constructs, stem cell functionality and epithelial cell-extracellular matrix interactions in wound healing Dr. Garlick plays a pivotal role in the day-day scientific operations as well as within the leadership circle providing key insights. 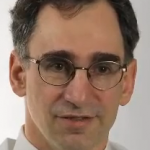 Mark Iafrati, M.D. Professor of Medicine and Director, Tufts Wound Center, Director, Vascular Surgical Research, Tufts Medical Center. Dr. Iafrati who is currently Director, Tufts Wound Center, and TIWR member has been intimately involved in all aspects of our ongoing collaboration, including published work together with Drs. Herman and Kaplan. Dr. Iafrati’s surgical expertise, his longstanding experience as a vascular surgeon and as Director, Vascular Surgical Research makes him an invaluable team leader. Jeffrey T. Borenstein, Ph.D. Distinguished Member, Technical Staff, Director Biomedical Engineering Center, The Charles Stark Draper Laboratory. Dr. Borenstein is an internationally-recognized expert in nanofabrication technologies for bio-engineering. As such, he is a key leader in our strategic efforts aimed at integrating microfluidic structures within our ‘smart’ device technology program. Robert Sheridan, M.D. Professor and Chief, Burn Surgery Unit, Shriners Burns Hospital, Boston, MA. 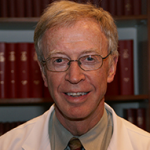 As chief of the Burn Surgery Service at the Shriners Hospital for Children and Co-Director of the Sumner Redstone Adult Burn Unit at the Massachusetts General Hospital, Dr. Sheridan brings a unique skillset to TIWR leadership. After early training, Dr. Sheridan served in the military where he was a burn triage officer in support of Operation Desert Storm. Upon completion of his military obligation, he left the Institute of Surgical Research and joined the Massachusetts General Hospital Burn and Trauma Services and the Shriners Hospital for Children, Boston, MA. Elof Eriksson, M.D. PhD, Professor of Surgery, Harvard Medical School and Chief of Plastic Surgery, Harvard/Brigham & Women’s Hospital, Boston MA. Dr. Eriksson received his early training (MD/PhD) from University of Göteborg, Sweden and performed postdoctoral training in general surgery and plastic surgery at the University of Chicago and Medical College of Virginia, respectively. Since that time, he has distinquished himself as a worldwide authority in the fields of epithelial stem cell biology, the biology of wound healing/ tissue regeneration and is an internationally-renowned expert on the cellular responses to thermal injury. Douglas Losordo, M.D., Feinberg Professor and Director, Feinberg Cardiovascular Medicine, Northwestern University. 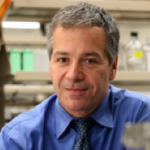 Since his early training with Dr. Jeffrey Isner, and following his serving as Director of Cardiovascular Research, St. Elizabeth’s Medical Center, Tufts University School of Medicine, Dr. Losordo has been committed as a clinician scientist to translating basic research into clinical practice. Notably, his studies focused on therapeutic angiogenesis and endothelial progenitor cell function are instrumental for TIWR studies focused on developing novel 3-D human tissue contructs for wound healing.